Registration opens on Got Soccer: May 1, 2019. The Salt Lake Regional Athletic Complex is the intermountain west’s elite soccer venue. With 16 natural grass, sand-based fields (6 with lights), the RAC allows for all games in one location. Parents appreciate the easy access off I-215 and paved parking throughout the complex, as well as proximity to downtown Salt Lake City. 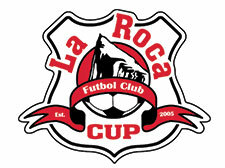 Boys and girls U9-U19 teams are eligible to participate in La Roca Cup. Teams will be placed in age groups based on the 2019-2020 season (see matrix below). Most age groups will have a gold and silver bracket. The gold bracket is recommended for premier-level teams; the silver bracket is recommended for D1 and D2-level teams. In some age groups, a bronze bracket may be added for D3 and lower-level teams. Please Note: While the tournament committee will usually honor a team’s bracket placement request, if they believe the bracket requested is not appropriate, they will contact the coach to discuss placement options. La Roca Cup uses UYSA Affinity rosters to ensure all players are registered UYSA players. Roster requirements, including guest player limits, will be detailed at a later date. First place teams will receive a trophy; medals will be awarded to first and second place teams in each bracket. La Roca will attempt to avoid coaching conflicts when scheduling games, however, all teams are required to have an assistant coach on the roster. To sponsor the La Roca Cup or advertise at the tournament, please email Wendy Kenney, Tournament Director, wendy.kenney@larocafc.com.